Retreat West is all about reading and writing fiction. Learn with great authors on residential writing retreats and online courses; get published and paid in the competitions; and improve your skills with the courses and editorial reviews. 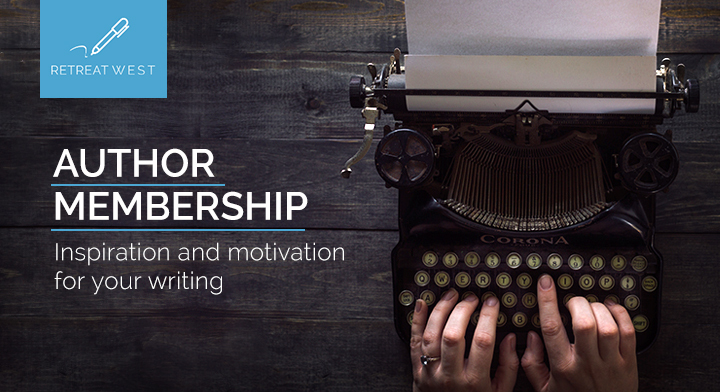 Our Author Members also get ongoing motivation and inspiration via email; discounts on the courses and retreats; free entries to the comps and free copies of the books we publish; a supportive online community; and priority booking when new courses are launched. Retreat West Books publishes short story collections, novels and memoirs. Submit flash fictions and short stories on the theme of 'Help' up to 3,000 words (no minimum). Submit short stories of 1500 to 5000 words to win cash prizes and publication in the annual paperback and ebook anthology with Retreat West Books. Submit flash fictions up to 500 words (no minimum word count) to win cash prizes and publication in the annual paperback and ebook anthology with Retreat West Books. All entries are judged by Amanda Saint, novelist, short story writer, publisher and founder of Retreat West. The winner and two runners-up receive cash prizes and have their stories published on the website. You can read winning stories from previous competitions here. Become a Retreat West Author Member to get entries to the flash competition included as part of your benefits, as well as loads of other great stuff to get yourwriting, submitting and published more often. Join our writing community here. All entries are judged by Amanda Saint, novelist, short story writer, publisher and founder of Retreat West. The winner and two runners-up receive cash prizes and have their stories published on the website. Become a Retreat West Author Member to get entries to the flash competition included as part of your benefits, as well as loads of other great stuff to get you writing, submitting and published more often. Join our writing community here. All entries are judged by Amanda Saint, novelist, short story writer and founder of Retreat West. The winner and two runners-up receive cash prizes and have their stories published on the website. Retreat West Books is open to submission of novels, short story collections and memoirs.